Tower D fan? Get Defense Grid: Containment for endless fun! I already know what you’re thinking: “Defense Grid? 2008 called, they want their game back.” But there’s been a new development! I was recently given the opportunity to give a little coverage to the newest DLC expansion for the game, Containment. Of course I can, I thought! So I dove right in. And was annihilated instantly. Never mind. So I back tracked, I played the first few levels of Defense Grid: Awakening and it was great! It coached me along, and helped me start making my way along in the more complex expansion pack. Now, if you don’t already have the main game, then you obviously don’t need Containment – but if you’re going to be buying it, get the Containment Bundle for less than $20. If you’ve already got everything in Defense Grid up until this point (and it’s a game with a great core following, so there’s no doubt some of you do), then you just need the latest Containment DLC pack for $4.99. But Containment is more than just a story line expansion for a game you’ve played in the past. It’s more than just 8 new maps, 32 new challenge modes, and 2 new characters (including Alan Tudyk, whom you may remember from Firefly or A Knight’s Tale!). Containment is a crowning achievement in crowd funding. It came via Kickstarter, with support even coming from large companies like Razer and AMD. The story resumes where Defense Grid: The Awakening left off – in a very literal way. You are expected to be familiar with the various “towers” and know how they work, and you should be able to dive right in. If not, go back and start with The Awakening and let it teach you the way it taught me. And, if you’re going to say but you haven’t said anything about the GAMEPLAY then stay with me. As I said, I’m terrible at Tower-D. I’ve given this game some time, and I plan to continue playing it later, but I’ve by no means had a chance to experience everything it has to offer. But I can tell you that the levels are beautifully designed, and well thought out. No matter how you position your towers, there’s almost always something you forgot. There are alternate routes, multiple levels of depth to pay attention to (first floor, second floor), and sometimes the enemies need to come full circle, other times they’re just fighting their way towards an exit. The level designs are creative, and some even feel mildly inspired by great nods Sci-Fi films and games of the past. Don’t forget to check out community-designed levels, as well, for a literally limitless supply of fun. Defense Grid: Containment knows its audience – they funded it. And they won’t be disappointed with it. The folks over at Hidden Path Entertainment are pretty comfortable stating that this is the latest chapter in Defense Grid’s story, not the last. 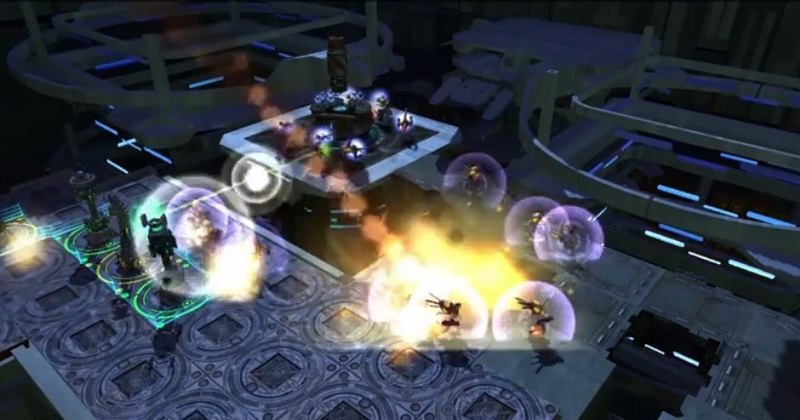 So go on and get Defense Grid: Containment Bundle now, so you’re ready for whatever comes next!